Rely on us for a courtesy check or complete vehicle inspection by Delran's top technicians. Make an appointment at your nearest location today and get your car checked by our qualified technicians. Your car makes everyday life easier. Without it, you would struggle to make it to work on time, get the kids to school, and run all of your errands. Here at Firestone Complete Auto Care, we know how much you value your vehicle because we feel the same way. That's why we always offer complimentary courtesy checks in Delran with every service or repair we perform. (Note repairs not included and extra.) What happens during one of these car inspections? You can expect that a trained technician will visually examine your tires, lights, fluid levels, wipers, belts, car battery, and hoses to help you watch out for anything that may need to be fixed. Seasonal inspections like these can be a great way to reduce your chances of inconvenient breakdowns and pricey repairs. Want the most comprehensive health check for your car? Then you need to make an appointment for a complete a vehicle inspection in Delran at your nearest Firestone Complete Auto Care. 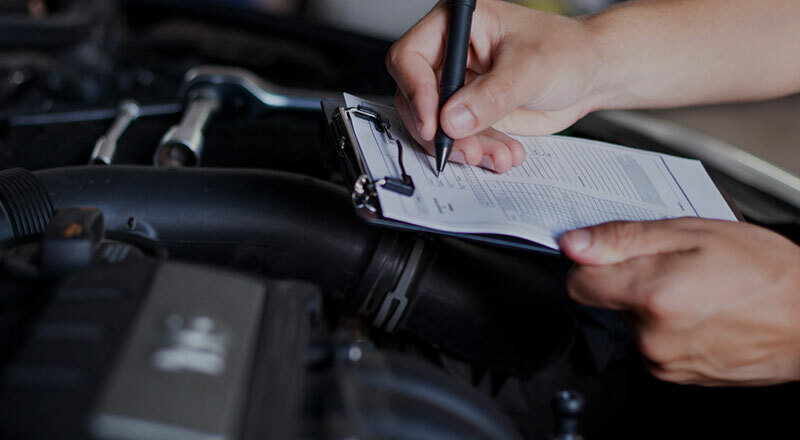 In addition to evaluating all the parts and pieces that are included in our complimentary check-up, a technician will inspect your vehicle's exhaust, brake, and suspension system to check they are in line with manufacturer specifications. Complete vehicle inspections offer the most beneficial health check your car can get. Spongy brakes or weird tires noises, start with an auto inspection. Stop by your nearest Firestone Complete Auto Care at the first leak, smell, noise, or light! Whether the repairs are major or minor, you can relax with the Firestone Triple Promise Guarantee. It’s our simple promise to you, that your car will be Fixed Right, Priced Right, and Done Right On Time. A select number of Firestone Complete Auto Care locations also offer New Jersey motor vehicle inspections and emissions tests, but you'll need to call ahead and ask. Whether you need peace of mind before a cross-country road trip or a new dashboard light popped on, make an appointment online for a courtesy check or complete vehicle inspection in Delran today. Your car's health isn't something you want to risk! From transmission work to engine tune-ups to headlight replacements, turn to your local Firestone Complete Auto Care for your automotive service needs. We're your local car care center, tire store, and automotive shop combined into one. Our highly qualified technicians care about keeping your car running newer, longer. Bring your truck or car to us for maintenance and we promise quality service at an affordable price. Explore our services and at your convenience, schedule your next courtesy check or repair in Delran, New Jersey today.